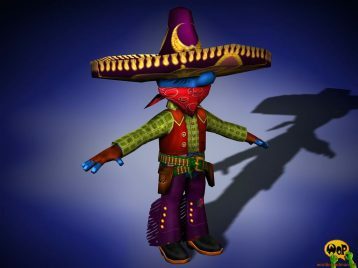 May we introduce to you: PadCho, our friend from the wild west. 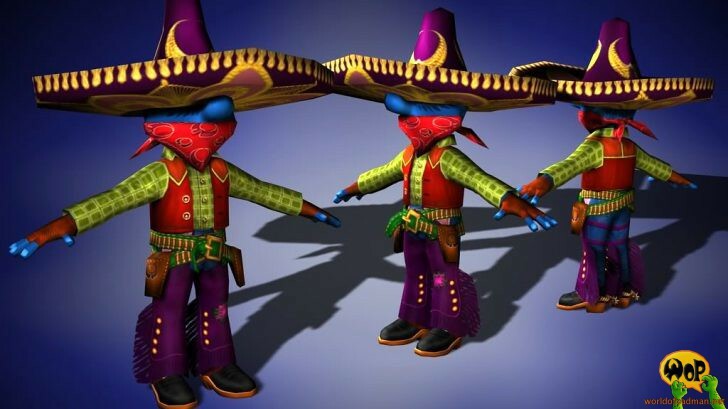 As promised, there will be a couple of new player models shipping with the upcoming WoP 1.5 patch. This tough guy here is one of them. He was sketched by ENTE, modelled as well as textured by Gogitason and finally brought to life by Doomdragon’s animations. 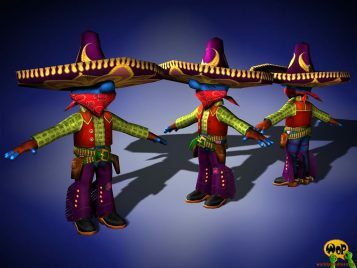 So, you better watch out for the small dude with the big sombrero. He might not come in peace.